Parrot built the Bebop 2 quite a while ago now, ever since, they have continued to add value to the drone by adding new features or accessories. 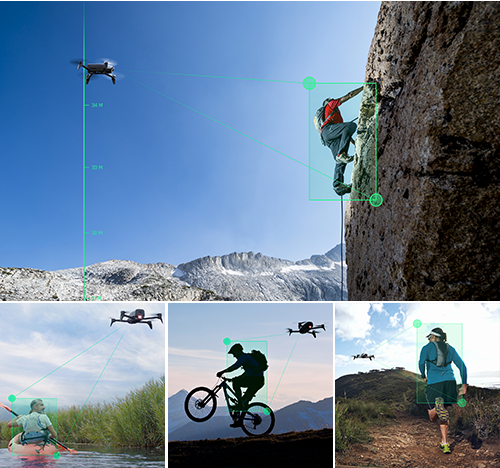 Some of the latest additions turn the drone into an adventure companion, but what else does the drone offer? Let’s check it out. We will no longer regularly update this article, there has been no real changes to this drone in a long time, and the newer Anafi is the superior machine in most regards. We’re not saying don’t buy the Bebop 2, but you’ll definitely do better with newer machines. Let me start with the reality of this drone, the Parrot Bebop 2 is a super light-weight plastic and Styrofoam build quadcopter with built-in camera. 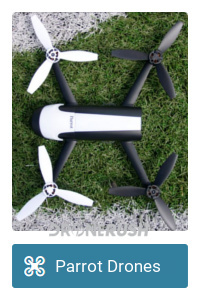 Originally sold as a toy drone that could do nearly as much as the big drones, for a portion of the price. These days, everyone from hobby enthusiasts to business professionals can take advantage of the drone. For the professionals, it’s all about the software, for the hobbyists, it’s all about the great feature set with low cost. Let’s run down the details. Parrot built this drone specifically to compete with the higher cost machines out there, packing all the best flying features for as low of a price as possible. The light-weight frame made it a favorite for hobby pilots, especially when it sold for under $500 competing with the $1000+ DJI Phantom series drones. Things changed when DJI launched the Mavic Pro, and even more when the DJI Spark hit the skies, but Parrot didn’t give up. Each time the competition heat up, the features and accessories rolled out. Parrot keeps the value coming, as you’ll see as we continue exploring. Despite the controversy of charging an in-app payment to add the follow-me functionality, the Parrot Bebop 2 still packs a solid performing follow-me function. We explored the feature when it was announced, I’ll send you to the article to learn more. The Bebop 2 is one of a few drones to come pre-packed with an FPV headset. It is an optional purchase and more of a Google Cardboard type headset than anything, but again, the accessory works right out of the box. 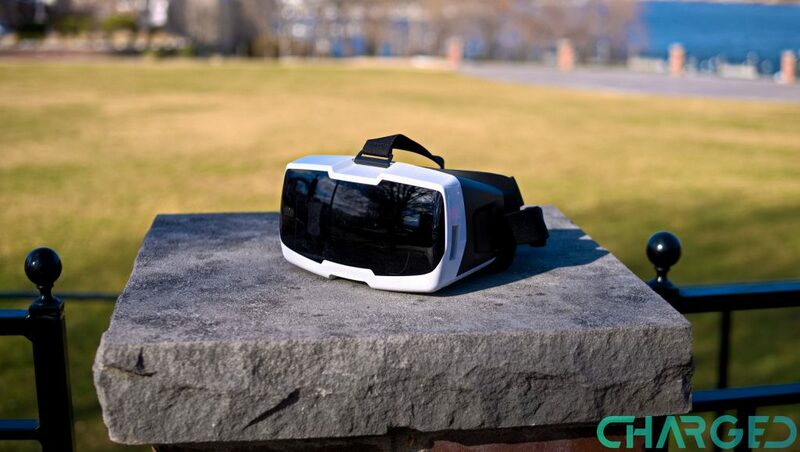 Flying via FPV headset is a fun and immersive experience. Do keep in mind the line-of-sight laws in many countries, otherwise, put the view from the camera live in front of your eyes. Of course, the quality is only as good as your mobile device display. Keeping in line with many retail drones on the market, the Parrot Bebop 2 is fairly simple to fly. GPS and more provide stable hover and simple maneuverability, making this a good drone for first time pilots. Many advanced pilots will tell you that you aren’t really flying a drone like this, you’re just telling it where to be in the sky. That’s my point, if you just want to put a camera in the air, it’s ok to miss out on some of the intricacies of flight. For the professionals in the crowd, in particular real estate agents, Parrot has added some advanced visual tools to the Bebop 2. Tying into their 3D mapping software, a Bebop 2 pilot can completely map out a home, business or the trees on an empty plot of land. I hope you can think of uses for 3D modelling beyond selling real estate, like planning a hike or assisting in search and rescue operations. I mentioned that the release of new accessories has added value to the Bebop 2. The most recent is a new backpack and inclusion of many of the optional accessories in the Adventure Pack. The FPV headset falls into this category as well. When you purchase the base package for the Bebop 2, Parrot sells you the drone alone, you are to provide a mobile device to act as remote. 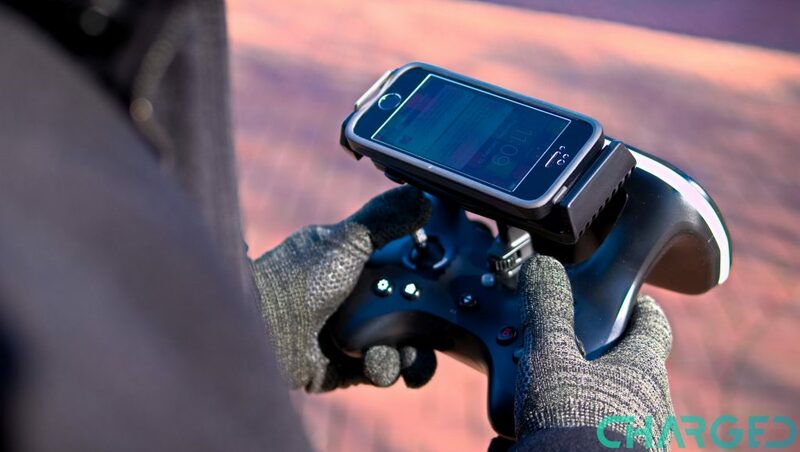 The Parrot remote control is one of those accessories that add huge functionality to your drone. For the adventure crowd, Parrot teamed up with Land Rover to offer a special medical package with launch pad on the roof. This vehicle purchase comes with a Bebop 2. This special package is designed for emergency situations, but if you can get your hands on it, along with that follow-me mode, you could take this car and drone on your action sports adventure. So, the drone is a neat reason to consider the car, rather than the car being a reason to choose the drone. Still a nifty concept. Announced in mid-2018, the Parrot Anafi is a smaller, folding drone that outperforms the Bebop 2 in almost every way. It has a solid 4K camera that can tilt from straight down to straight up, not bad. Folded down, the Parrot Anafi is far more portable than the Bebop 2, and the remote is even more portable than that. Flight time is also of note, you’ll enjoy upwards of 33 minutes in the air. We’re going to leave it at that for now. We have the Parrot Bebop 2 in-house at the moment, we wanted to revisit the flying machine with the new accessory pack. Stay tuned for more coverage on the drone, as well as updates to this list as we find cool new things to do with this light-weight quadcopter. Why did you buy the Parrot Bebop 2? Let us know in the comments below.